Showrunner Scott Gimple sent a letter to Chris Hardwick, which he read on Talking Dead. In the letter, Gimple hinted that humans were no longer going to be the big problem for the survivors. Does that mean the walkers will be the new focus or could it be something else? 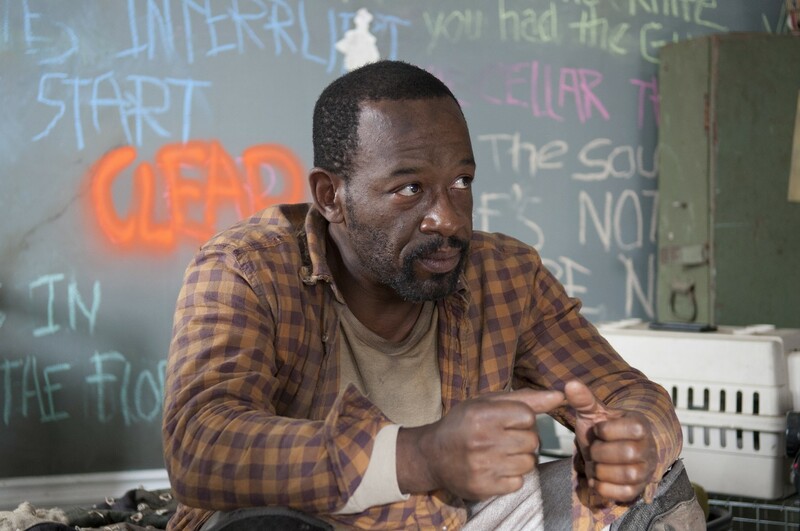 On Talking Dead, Lennie James (who plays Morgan on the show) said that Morgan went through a “fundamental change” while he was on his own. That change is the reason for his new Zen-like state, but what could have happened to turn him from a homicidal maniac to the man we saw in the Season 5 finale? Morgan walked up just in time to see his old pal Rick blowing away a man in cold blood. These two have had a special bond ever since Rick first stumbled across Morgan and his son. 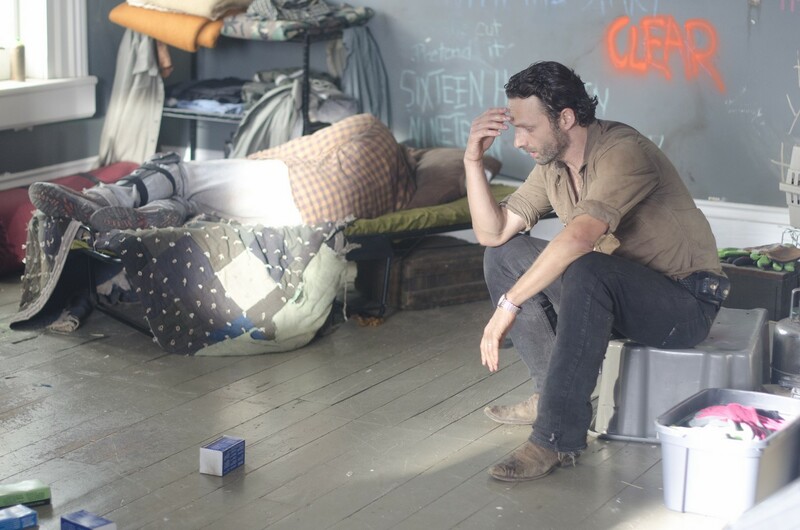 But with Morgan’s new peaceful attitude, could that murder put an end to Rick and Morgan’s friendship? Rick appeared to have killed all the walkers that got in through the open gate (thanks for that, Father Gabriel). But even if he did, there’s the little matter of Deanna asking him to kill Pete. Deanna was all about living peacefully within the gates and not using death as a punishment for any crime. Even if the gates hold, the people of Alexandria could still be in danger within the walls. Now that Rick has had a chance to make another fantastic speech, will the people of Alexandria vote for him as their leader? If the people of Alexandria are looking for someone calm, cool and collected who is also a badass when it comes to killing walkers, they couldn’t do any better than Maggie. She kept her head through everything that happened and also gave a great speech at the town meeting. 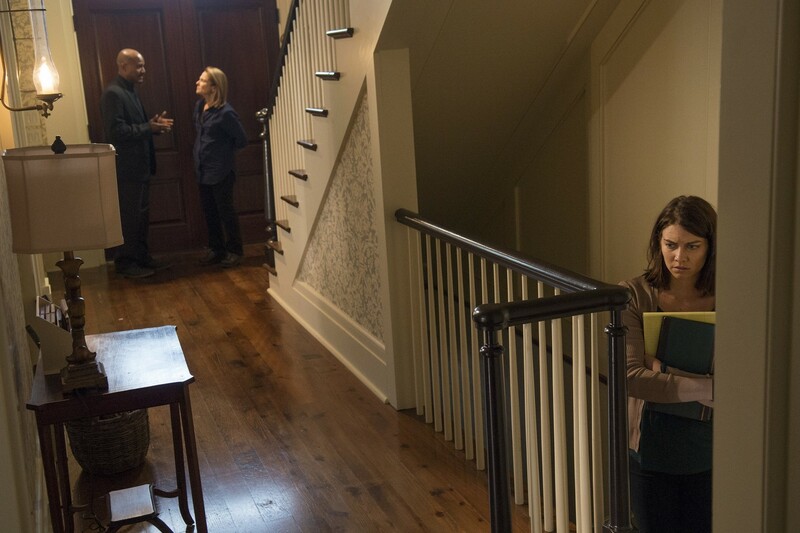 If the Alexandrians decide that Deanna is out, could Maggie be in? The people of Alexandria trusted Deanna to lead them peacefully. She promised no death to anyone within the walls and yet, as soon as her own husband was killed, she ordered an execution. It makes one wonder how long the Alexandrians will continue to accept her as their leader or if they might decide to take over the town themselves or maybe even leave. With all that happened at the town meeting, it seems there might not be any need for Carol to keep up her appearance as Suzy Homemaker. Could it be time for the Alexandrians to see Carol’s true self? 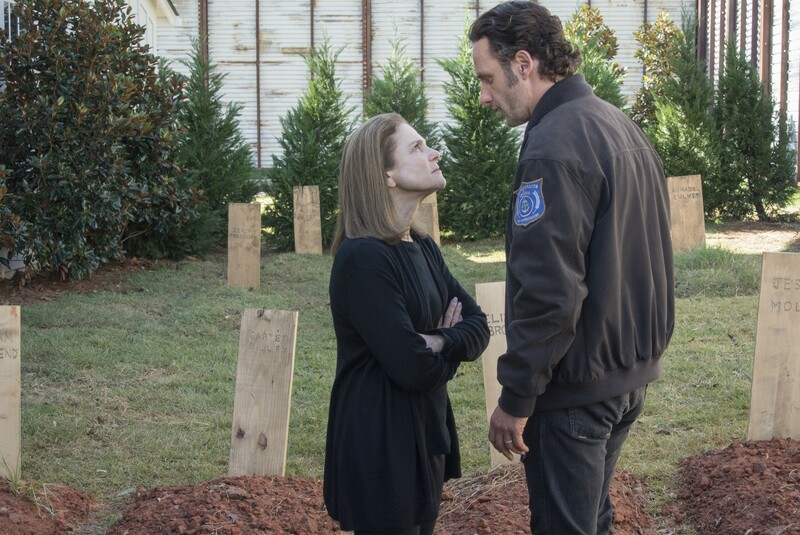 Whether she’s still leader or not, how will Reg’s death affect Deanna? Will she feel guilty over her decision to have Pete killed and try to bring the town back to the way it was? Or are we about to meet a whole new Deanna? Is Morgan a good guy? Right now, Morgan looks like the hero to beat all heroes. He’s a skilled fighter and yet also a humanitarian and pacifist. He even made sure that the two Wolves who attacked him were somewhat safe before leaving them in that car. But we’ve seen people on this show before who seem great, but are really monsters. Is Morgan truly as good as he seems? It’s not a question of if the Wolves will come, but when. Will it be at the beginning of Season 6 or will we have to wait longer to see them hit Alexandria? 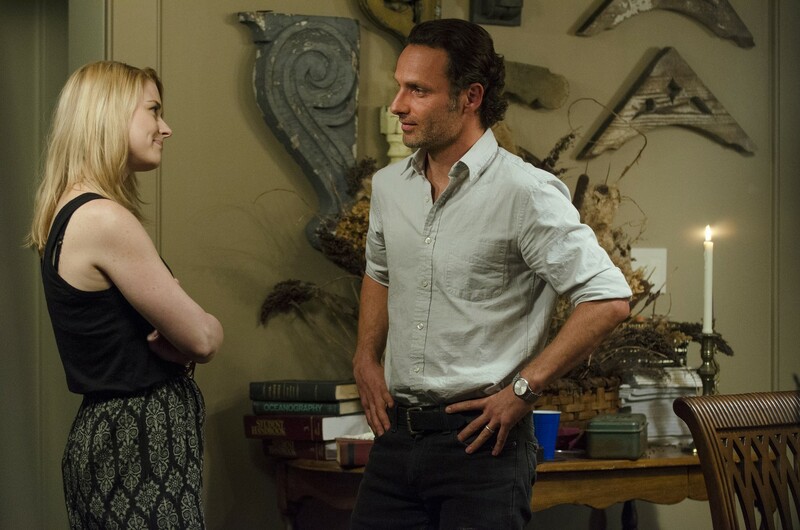 Now that her husband is gone, will Rick and Jessie hook up? Sure, it was pretty brutal the way Pete went out, but then again, he was brutal to her and her son. She can’t feel too bad that Pete is gone. The only question will be: Is Rick the kind of guy she wants in her life? 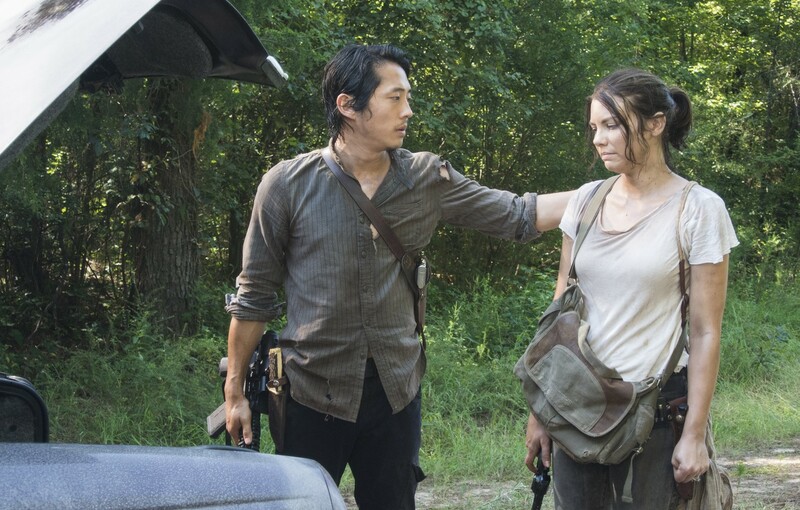 If Alexandria can go back to being that safe place the survivors dreamed of when they walked in, could it be time for Glenn and Maggie to have a baby? Think about it: the human race needs to live on, and these two are definitely the kind of people we all want parenting the next generation. You gotta give credit where credit is due, and the Wolves proved that they have some awfully brilliant ways of staying alive. 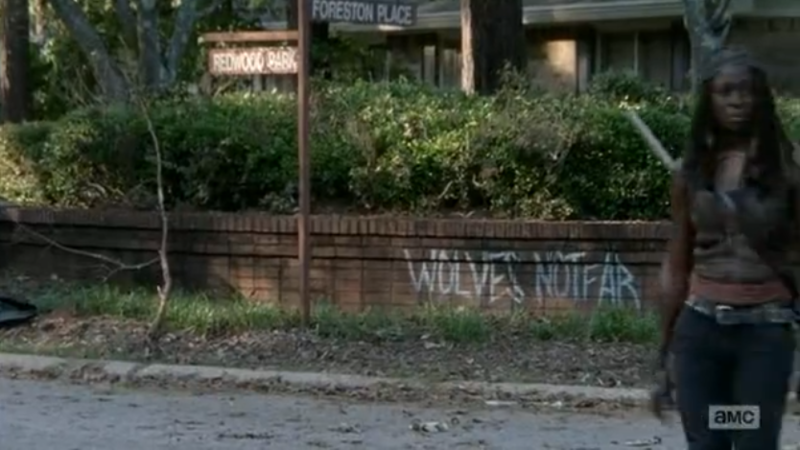 But stealing supplies from other people and turning them into walkers will only last for so long. What are their long-term plans for survival?